I recently stumbled upon the most whimsical drawings that I ended up staring at for quite some time. Charmed by this mythical, friendly looking figure I discovered these charcoal illustrations are part of a narrative series by Mexico City based artist David Álvarez. It’s called I Dreamed I Was the Night and follows this being – the night – wandering through the country side and contemplating its surroundings. So magical! With countless colors and details to absorb, artist Sofia Moore paints magical worlds that I would love to get lost in. Her beautiful work leaves me curious about the delightful characters she portrays, blending into their surroundings so perfectly. And those little white paintings on their dresses and wings.. love! Cups, plates and dishes, embellished with all kinds of animals and botanicals in blue. 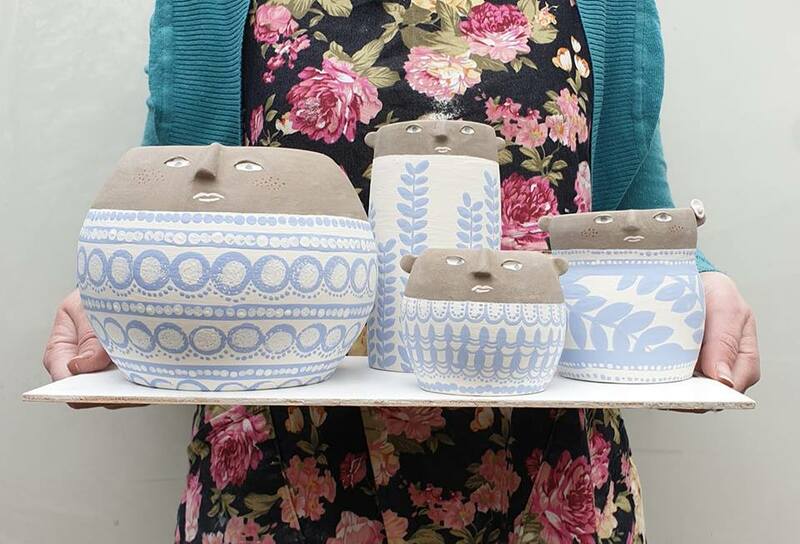 Aren’t Becca Jane Koehler’s ceramics gorgeous? I’m so in love with the playful and whimsical style of her illustrations! Each of them seems to perfectly fit the ceramic piece it’s applied on.